Surrounded by the peaks of the Mátra mountains in its heart, the hotel lies in Sástó - between Mátrafüred and Mátraháza - 530 m above sea level. It is a popular place for excursions and holiday. In its immediate neighborhoods located the 50 m high look-out tower from where spectacular panoramic view unfolds before us. The three-storey - built in 2014 - Sástó *** Hotel is located in area of the Mátra Camping. In the bottom level of this establishment are housed the wellness center, the salt cave and the wellness reception with a drink bar. On two floors of the main building 34 double rooms and 3 suites are at our guests' disposal (extra bed if required). All rooms are equipped with private bathroom (shower, toilet). In the rooms there are mini-bar, LCD television, telephone, furthermore you will find samples of the Mátra medical, mineral and spring waters in every room. Free Wi-Fi access provided throughout the area of the hotel. The hotel has two conference rooms. From the hotel rooms, our guests have a direct access to the wellness center and the salt cave without leaving the building. In our wellness area leisure pool, kids’ pool, three saunas (bio, Finnish and infrasauna), a steam room, Jacuzzi and relax room serves our guests comfort. Our therapeutic salt cave consists of several rooms, salt-sandbox for the children, relax room with light therapy to relax, a spinning room with four spinning bikes for those who like to stay active. The hotel is 10 minutes walking distance from the Oxygen Adrenalin Park, where on a 16 acres of land, from one-year-old to 99-year-old everyone found entertainment for himself. 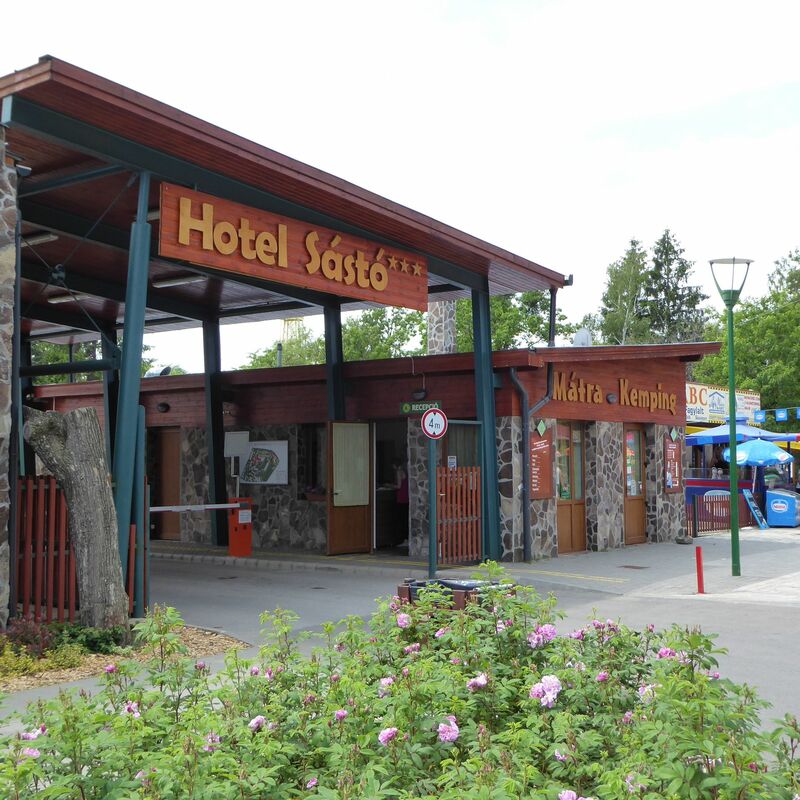 The rating of Sástó Hotel Mátrafüred - Sástó is 9 from the maximum of 10, based on 149 real guest reviews. "Sok kommentben olvastam, hogy külön kellett fizetni a wellnessert, de nálunk ez nem volt igaz. Csak a parkolasert kellett."